The Overseas Private Investment Corporation (OPIC) is a U.S. government agency that helps American businesses invest in emerging markets. OPIC supports U.S. businesses by providing investors with financing, political risk insurance, and support for private equity investment funds when commercial funding cannot be obtained elsewhere. Under legislation passed in October 2018, OPIC will soon be subsumed into a new U.S. government development finance institution, the U.S. International Development Finance Corporation. More information about Accountability Counsel’s advocacy for strong accountability, environmental, and social requirements for the new agency can be found here. Mission: OPIC provides businesses with the tools to manage the risks associated with foreign direct investment, fosters economic development in emerging market countries, and advances U.S. foreign policy and national security priorities. OPIC helps American businesses gain footholds in new markets, catalyzes new revenues, and contributes to jobs and growth opportunities both at home and abroad. OPIC’s environmental, social, and labor policies and procedures are described in its Environmental and Social Policy Statement (ESPS) and its procedures manual. OPIC must also comply with its environmental handbook. Furthermore, as required by the Foreign Assistance Act of 1961 (as amended), OPIC must account for all available information about observance of and respect for human rights and fundamental freedoms in a potential project country, in consultation with the U.S. Department of State. OPIC consults with the U.S. Department of State on a human rights review in order to confirm whether a project may receive support. As a federal agency, OPIC must follow the Freedom of Information Act (FOIA). FOIA, found in Section 552 of Title 5 of the United States Code, was enacted by Congress to provide the public with access to certain federal records. The act requires federal agencies to produce government records in response to requests from the public, provided that the records are not exempt from disclosure by FOIA. To address harm caused or anticipated from OPIC operations, the U.S. Congress mandated that OPIC create an Office of Accountability (OA). The OA was established in 2005 and has processed fewer than 10 complaints to date. The OA takes complaints from communities who are or who may be harmed by OPIC projects and has problem-solving and compliance audit functions. The legislation that creates the U.S. International Development Finance Corporation, which will soon subsume OPIC, mandates the establishment of an accountability office for the new agency. Information on this accountability office is forthcoming. The loan has not been fully paid back, or, in the case of financial intermediaries, the financial intermediary is still invested in the project. You can request two types of services: conflict resolution (available to both project-affected parties and OPIC clients) and/or a compliance investigation about how OPIC applied its relevant policies to the OPIC-supported project (available to project-affected parties, as well as OPIC’s board and president). The office is mandated to provide these services upon request in a manner that is accessible, fair, objective, and transparent. For more information, see our Accountability Resource Guide or visit the OA’s website. In March 2018, the Better Utilization of Investments Leading to Development (BUILD) Act was introduced in both the House and Senate. The bi-partisan bills called for the creation of a new U.S. development finance institution, the United States International Development Finance Corporation (USDFC). The USDFC would subsume OPIC as well as USAID’s Development Credit Authority (DCA), have an expanded liability cap, and have an expanded set of financial tools for its development activities. From the beginning, Accountability Counsel actively pushed for the legislation to enshrine protections for communities affected by the proposed agency’s activities. This includes strong environmental and social policies to ensure that the agency does not finance projects that cause environmental degradation, engage in illegal labor practices, or otherwise harm the local communities where the projects are located. We also pushed for a provision in the legislation that would mandate an independent accountability office to receive complaints related to environmental, social, and human rights harm. Most development finance institutions have these offices, including OPIC, and it was crucial that the legislation provide an avenue for addressing community complaints. AC engaged in months of advocacy and outreach with our partners, and as a result, the final legislation, signed into law in October 2018 as a part of the Federal Aviation Administration Reauthorization Act, includes strengthened environmental and social provisions. Importantly, the legislation mandates an independent accountability office to receive complaints of harm related to the USDFC’s activities. Since the passage of the law, AC has worked to ensure that the transition from OPIC and USAID’s DCA to the USDFC is a transparent and participatory process and ensures that the new agency operates according to best practice. Per the BUILD Act’s requirements, the administration provided Congress with a reorganization plan on March 8, 2019 that included some details on the transition. That same month, Accountability Counsel and over 30 partners sent a joint letter to the Senate Foreign Relations Committee and the House Foreign Affairs Committee requesting a hearing and robust oversight of the transition. As the transition to the USDFC continues, with an anticipated opening date of October 1, 2019, it is crucial that the USDFC implements environmental, social, human rights, labor, stakeholder engagement, and accountability policies and practices according to best practice. Going forward, Accountability Counsel will continue to work with partners to ensure that the USDFC’s activities ultimately benefit and not harm communities around the world. AC’s recommendations for the next steps for the USDFC can be found here. Building on our advocacy for stronger due diligence and monitoring processes, we submitted several joint submissions of recommendations to strengthen seven of OPIC’s client application and monitoring forms. As a result of our advocacy, in 2018 OPIC strengthened parts of its application process, including its application for financing, to better identify potential clients’ human rights, environmental, and social practices. Accountability Counsel was actively involved with the Overseas Private Investment Corporation’s (OPIC) Environmental and Social Policy Statement (ESPS) review even before it officially began. In response to our complaint filed to OPIC about its role in the failed biomass project in Liberia, OPIC’s Office of Accountability (OA) conducted an independent investigation and released a report about the agency’s role in the project in addition to a short response from OPIC’s president and CEO, Elizabeth Littlefield. Both the report and President Littlefield’s response included important recommendations to prevent future harm, including a review of OPIC’s ESPS. In March 2015, OPIC released a report to Congress in which it formally committed to reviewing its ESPS. As we highlighted in our scorecard report Scoring OPIC One Year On: Few Lessons Learned in OPIC’s Response to Disastrous Project in Liberia, analyzing OPIC’s inadequate response to the OA report on Liberia, OPIC finally initiated the ESPS review in December 2015. A requirement to publish all relevant policies, procedures, sectoral guidance, and project related information. Accountability Counsel also signed onto a joint statement released 12 February, 2016 and participated in the 9 December, 2015 and 11 April, 2016 OPIC ESPS stakeholder consultations to provide input and views on the review process. On 23 September, 2016, OPIC released a draft of the revised ESPS. The draft was open for public comment for a 60-day period. OPIC’s draft revised ESPS can be found here. The red line version of OPIC’s draft ESPS can be found here. On 23 November, 2016, Accountability Counsel and several partners submitted a joint submission of comments on the draft ESPS. Considering the recommended revisions from the previous joint submission, this submission highlighted continuing gaps in the draft ESPS. While OPIC demonstrated a greater commitment to human rights in the draft ESPS, the policy still needed significant improvements, particularly in the areas of developing robust human rights due diligence procedures, assessing and monitoring development outcomes, improving monitoring procedures, and facilitating access to meaningful accountability and remedy. Without these improvements, communities remain vulnerable to human rights and environmental abuses, and OPIC continues to run the risk that projects it funds do not fulfill their development goals. OPIC released the final ESPS on 18 January, 2017. An analysis of the final ESPS, based on the recommendations in our submissions, can be found here. Accountability Counsel will continue to engage in advocacy to ensure that OPIC delivers on its development mandate and manages social, environmental, and human rights risks through effective due diligence and accountability. 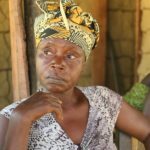 In January 2014, Accountability Counsel assisted hundreds of Liberian farmers, charcoal producers, and workers in filing a complaint to OPIC about its role in a failed biomass project that cause serious labor and human rights abuses and environmental devastation. In response to our complaint, OPIC’s OA conducted an independent investigation and released a report about the agency’s role in the project in September 2014. The report, published alongside a short response from OPIC’s president and CEO, revealed numerous institutional failures and accountability gaps at OPIC and made important recommendations to prevent future harm and improve OPIC’s ability to track the impacts of its projects. The OA director left his position shortly after publishing the report, as his term had ended. The OA remained unstaffed for several months after the review’s release, leaving communities harmed by OPIC projects without an independent office to receive their complaints. OPIC told Accountability Counsel that it had no immediate plans to hire a new Director and would instead rely on personnel within its management team to handle complaints, undermining the independent nature of the complaint process. In our follow up conversations with OPIC regarding its plans to implement the report’s recommendations and fill the vacant OA director position, the agency failed to provide concrete information regarding its timeline or process for either priority issue. Accountability Counsel therefore turned to key policymakers in Washington, D.C., urging them to take action and hold OPIC accountable for its failures. As a result of our advocacy efforts, Congress responded by including language on both of these issues in FY2015 appropriations legislation. Read our joint press release about this important legislation. On 17 March, 2015, OPIC published a brief plan on its website pertaining to Liberia in response to policymakers’ call to action. The plan outlines various institutional and operational reforms, ranging from dedicating adequate resources for high-risk projects to requiring more robust project-level grievance mechanisms. Although these reforms could help protect vulnerable communities like those in Liberia if implemented properly, the plan lacks critical details about the substance and impact of these reforms. Read our joint press release about OPIC’s response. After leaving the OA director post vacant for almost 16 months, OPIC hired its current OA director in February 2016. Accountability Counsel will continue to work to ensure that OPIC meaningfully responds to this congressional mandate and fully implements the report’s numerous recommendations for institutional change. Jan 2016 – Accountability Counsel released a scorecard report criticizing OPIC’s implementation of the recommendations of OPIC’s own Office of Accountability (OA), made following the OA’s review of OPIC’s disastrous biofuel project in Liberia. See our press release. Jan 2016 – The U.S. Government Accountability Office released a report criticizing the agency’s monitoring of the environmental, social and development impacts of its projects. Oct 2013 – Joint civil society submission on the OPIC Office of Accountability’s draft operating guidelines (also available in Spanish). Accountability Counsel’s supplemental submission based on the Cerro de Oro case. Jul 2012 – As a result of Accountability Counsel’s policy initiative, the OPIC OA publicly released its 2005 Administrative Order for the first time, setting forth the OA’s procedural rules. Apr 2012 – Accountability Counsel, and 19 civil society organizations, submitted a joint letter to OPIC, requesting that the OPIC President and Board of Directors require the current OA review to be part of a public and transparent process. Accountability Counsel also documented specific problems with the OPIC’s OA in relation to the Cerro de Oro case. Sep 2010 – Accountability Counsel submitted comments on the draft Human Rights Policy. Nov 2003 – House Committee on International Relations passed a bill establishing the Office of Accountability. Accountability Counsel supports Liberian farmers, charcoalers and workers in their efforts to secure remedy and hold the U.S. Overseas Private Investment Corporation (OPIC) accountable for funding a biomass company that caused serious human rights, labor and environmental abuses, including sexual abuses by company employees of local women. 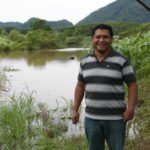 Accountability Counsel has supported three communities in Oaxaca, Mexico in their efforts to prevent the Cerro de Oro Hydroelectric Project from causing contamination of their drinking water and fishing areas, and other threats to their livelihoods and culture.